Suriya is all geared up for the release of his ambitious project Maattrran on this October. 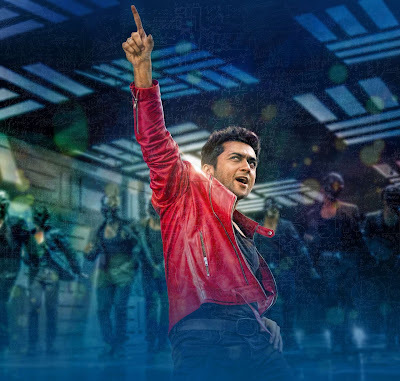 The movie brings together director K V Anand, music director Harris Jayaraj and Suriya after “Ayan”. Maattrraan is the big project of Suriya till date and he plays conjoined twins in the film. K.v Anand directing the movie, while Harris Jayaraj handling music. It is notable that this movie is 7th combo of Suriya – Harris. The songs are already having great responds & about Maattrraan song Harris says “I did little different in this film, you can feel that while you hear”. Almost, its distribution rights are sold out with a record price now, Maattrraan is looking for a grand release including red carpet premier show release in London.